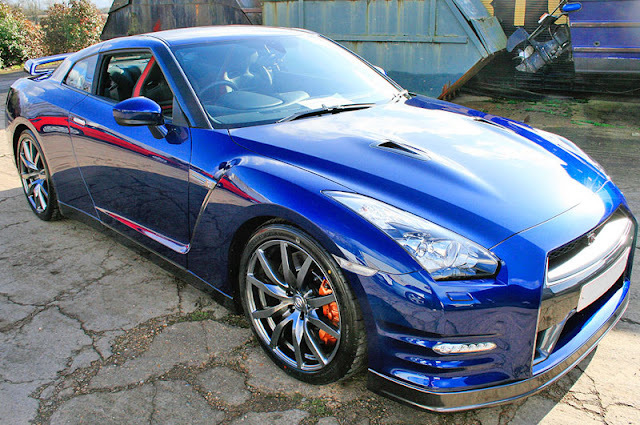 Litchfield Imports in the UK, took a UK 2011 version - 2012 US version - Nissan GT-R and broke it down to parade rest. They did some detailed analysis of the early car (CBA), to the new car (DBA). We know Nissan's line on what parts were changed, now we get to see some independent views. The following video shows the engine being removed from the car. 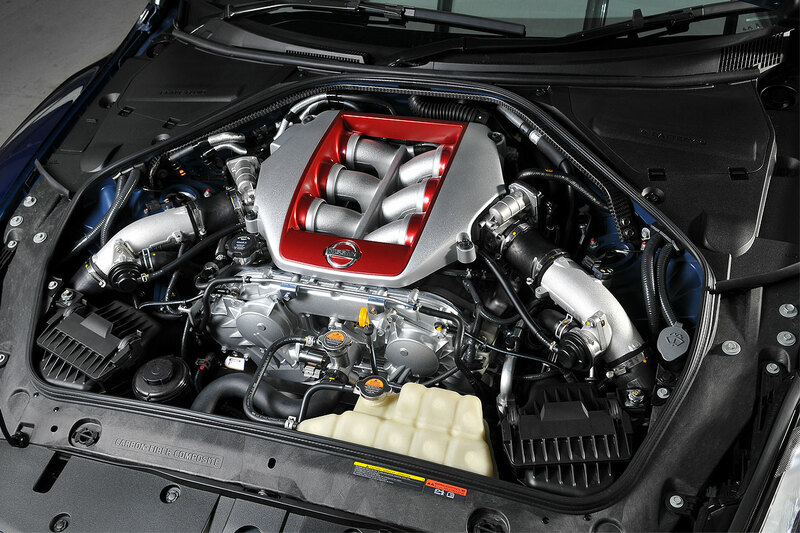 With the GT-R, the engine and transmission are both removed as parts of the subframe assemblies. Litchfield had this to say about the DBA: "The original GTR was beautifully engineered and all of these enhancements are just that, enhancements. Nothing has been fundamentally changed because nothing was really wrong with it in the first place but there are a huge number of small improvements which add up.". Sounds good. Continual minor improvements contribute to the overall package. Ride comfort is improved with them speculating on what helps." The new suspension is excellent, the chassis feels sharper and yet the ride quality is much improved. Comfort mode is really good. It’ll be interesting to see what the new damper and spring rates are to make such a marked difference but it makes us wonder how they didn’t come to these settings originally or again when NISMO revisited it with their, greatly improved, Club Sport Bilsteins. Perhaps this change to ride comfort comes from the way the new Dunlop tyres interact with the new dampers.". 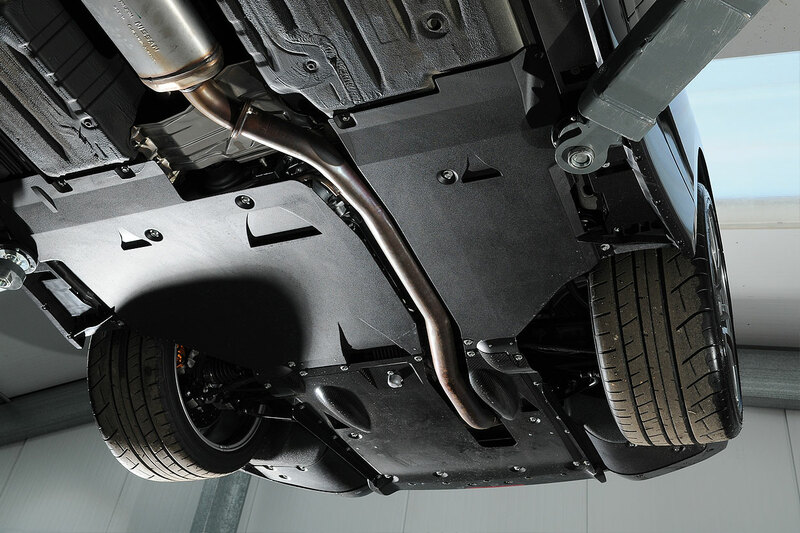 Under the car, the improved cooling ducts that are in the '11 car are carried over, and act together with the new rear diffuser to help put air around the transmission and differential, helping to cool them. Engine and transmission cooling has been a big issue with the early GT-Rs that are used on the track. The front brakes on the 2012 GT-R have been changed slightly. The rotor diameter has been increased to 390 mm, but the thickness has been decreased to 32.8 mm from 34 mm. This is how the kept the weight the same, but increased the diameter. 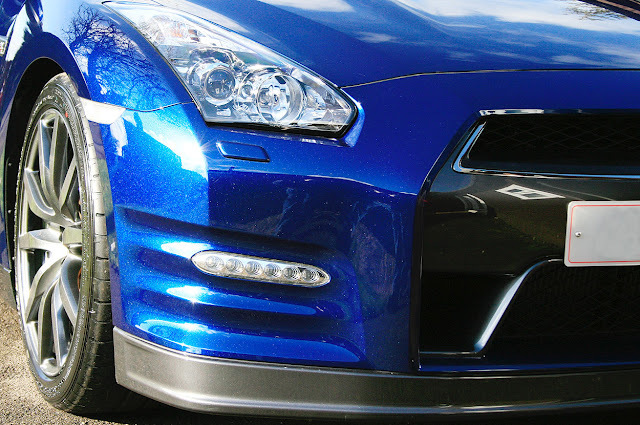 In an iron disk, you actually need the weight in a heavy car like a GT-R. The heavy car puts a lot of kinetic energy into the brakes. The extra weight can contain and give off the heat. Everything about weight though is thrown out the window on a carbon ceramic system. The aftermarket fronts won't fit as the caliper spacing isn't right but the bell design is the same.We fitted the old kit as one unit to prove the hub etc was the same. In the picture you can see the 2011 Caliper swung out of the way....the pad is the same size but they have reduced the thickness of the disc from 34mm to 32.8mm and reduced the Air gap. We are not really sure about the exact reasons behind this (there are many) but it probably accounts for why the weight is roughly the same as the original discs. On the exhaust side, there is some increase in the diameter of the exhaust tubing, which helps to improve flow in the exhaust, and overall horsepower. Other than that, the exhaust fit is the same for a CBA. 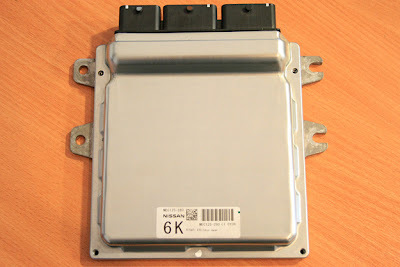 The ECU is different, and uses a larger ROM file. The early ECU's have a 1 MB file, the 2012 have a 1.5 MB file. The DBA transmission, mostly appears the same as the CBA transmission, although there are at least a couple of changes. The baffling in the pan, and it is 4mm shorter than the early pan. 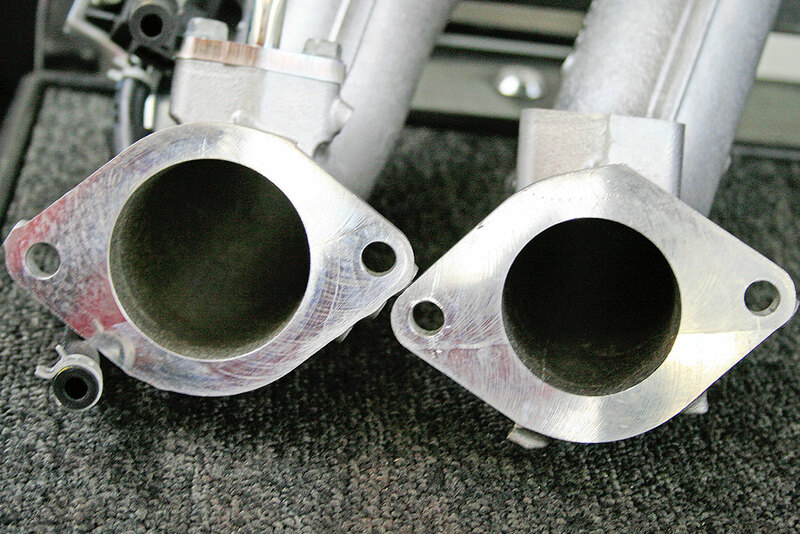 On the turbo inlet piping, the DBA inlet and compressor cover is about 5mm larger. Porting and matching on the inlets and outlet sides help to improve flow. 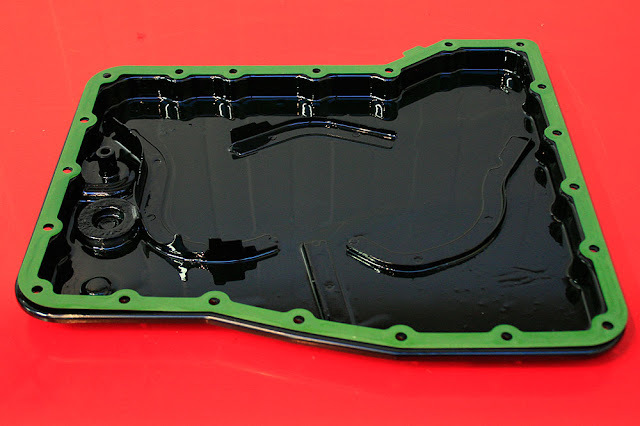 Less restriction here, less restriction on the outlet, ECU mods add up to 530hp. Well, at least Nissan says its 530 hp. From some of the results so far, it might be making a little more power than that. Its great to see all these technical pictures, along with explanations. This is the first 2011(2012) GT-R that has been gone into this far.